As NGO Advisor announces the new edition of the Top 500 NGOs, we’ve decided to launch a series of interviews with executives of organisations that are part of the rankings, the Ivy League of the “for-good” world. Sir Fazle Hasan Abed, Founder and Chairperson of BRAC, opens the series on behalf of 118,000+ employees working for what we acknowledge as the most influential and impactful for-good organisation worldwide. Jean-Christophe Nothias (JCN): Being ranked #1 (again in 2018) is an achievement and a fantastic recognition, but it is also challenging. Is there a “too big to fail” risk associated with BRAC? Sir Fazle Hasan Abed (Sir Fazle): First, on behalf of the entire BRAC family, allow me to express my deepest gratitude for NGO Advisor’s recognition. There are many civil society organisations in the world today working diligently to bring about change in their societies. For BRAC to be placed at or near the top of such a list is a great honour indeed. I would not say BRAC could ever be “too big to fail.” In Bangladesh, many of the functions that previously only BRAC and other nongovernmental organizations were able to provide are increasingly performed by the State. Successive governments in Bangladesh have been able to reach many more communities through State primary schools, for instance. We see this as a sign of great success. I would add that “failure” is not seen as a bad thing at BRAC. I have always encouraged our staff to view failure as an opportunity to improve the services we provide. During our child survival campaign of the 1980s, our earliest pilots were actually a disaster. This was BRAC’s first attempt to go to a nationwide scale, with a training program that taught rural women how to mix and administer their own oral rehydration solution for children’s diarrhea using locally available water, sugar and salt. At first, fewer than 10 percent of the mothers we had trained actually used the solution. We revised the training again and again until we achieved a 100 percent success rate, and then scaled it up to reach every mother in Bangladesh. JCN: As we explore the non-profit world looking for excellence, it seems like successful organisations are designed more like ‘systems’ than specialized ventures. BRAC addresses a diversity of concerns and embeds many different types of entities to act, some being non-profit, some for-profit corporations. Do you believe this is the future, in order to have a lasting impact and be sustainable? Will social enterprise revolutionize a non-profit sector that is still sticking to the charity approach? Sir Fazle: The idea behind BRAC is to change systems of inequity, that is true. There are some BRAC programs, however, such as our ultra-poor graduation program, which are always likely to require some level of subsidy. I would not call this a “charity approach”, however, since the aim is always to graduate the poorest into sustainable livelihoods, instead of remaining reliant on others. There are many ways to change the basic conditions of society. One is the social enterprise approach. To use one example—BRAC built a dairy company called Aarong Dairy, which purchases milk from women farmers many of whom took microloans to buy cows. It is now the largest private dairy company in Bangladesh. This represents one way to create greater opportunities for the poor efficiently and at scale. But government, civil society organizations, social enterprises, and for-profit corporations all have a role to play. There is no one-size-fits-all model. I’ve always recognised that donor funding wouldn’t always be there for us. In order to provide long-term solutions at scale—to create significant change in a country like Bangladesh, or in any of the other 10 countries where we work—we have sought a degree of sustainability by developing our own sources of income. I believed we should try never be too reliant on donors. With microloans, for instance, we recover our costs through service fees charged to clients. We also run social enterprises that serve the poor while generating a surplus for BRAC, in sectors as varied as dairy, textile and seeds. This surplus is used to fund programs like education and health. We even have a commercial bank, BRAC Bank, which operates bKash, a mobile money platform. By some measures, including the number of regular clients—about 25 million—bKash is now the largest mobile money platform in the world. Yet it is important to stress that many of our most successful programs, including most of our operations outside Bangladesh, still rely on donor contributions. Our operations in Bangladesh are close to 80% self-financed and, with support from our partners, I anticipate that this proportion will rise in the coming years. JCN: With an organisation of over 118,000 employees being so impactful, do you think that BRAC has become a poster boy for management schools? Has the Harvard Business School included BRAC in its curriculum? Sir Fazle: Harvard Business School has indeed prepared several case studies on BRAC which are included in its curriculum. In development circles, one of the things we are best known for is the “science of delivery”—the efficient delivery of services to people in need. This is something businesses can learn from as well. I agree with Jim Kim, the World Bank president and a proponent of the science of delivery, who says it’s no longer so much a question of what to deliver, but how to deliver it. Perfecting the science of delivery, even for very simple ideas such as the oral rehydration therapy mentioned earlier, can help us uproot even the most deeply entrenched poverty. If BRAC is emblematic of anything, however, I would like to hope it is a concerted, long-term effort to transform the basic conditions of one’s society. Would you say that young citizens with a fresh diploma should join an organisation such as BRAC or look for a job in the banking industry? Sir Fazle: When young people approach me about starting a career in development, I often suggest they spend a couple of years working in the private sector first. When I worked at Shell Oil, I learned how to manage large operations efficiently, something I think served me well when I started BRAC. That said, for those with a desire to serve others, especially people born with few advantages and opportunities, a career in this field is extremely satisfying. At BRAC, I have always tried to give people substantial responsibility coupled with an appropriate level of authority so they have the space to learn, develop and even make mistakes! JCN: BRAC’s assumption is that poverty is a system and its underlying causes are manifold and interlinked. Is BRAC a challenge to politicians, or to put it a little differently, do politicians see BRAC as representing some sort of a challenging or competing power to their public duties and power? Sir Fazle: Certainly not, although perhaps we are a challenge to corrupt politicians. There are many functions, such as education and health care, which can and should be performed by a well-functioning State. As mentioned earlier, the Bangladeshi government has recently done a much better job of making sure that people from poorer areas and backgrounds have access to primary schools. In situations like this, BRAC has very willingly stepped back to let the government do its job. Politicians tend to see BRAC as a resource, not as a competing power. We provide teacher training to improve state school systems, for example. Through BRAC University, we are educating a new generation of civil servants in Bangladesh. Our community health programs work alongside formal health systems, not in competition with them—linking the poor with government clinics, for example, or guiding a pregnant woman to a hospital when complications occur, so that she may have a safe birth surrounded by trained medical personnel. Wherever we work, we seek to help governments function better, not to replace the government. JCN: Over the next five years, BRAC aims at creating a more inclusive society in Bangladesh, one where inequalities would not rise. Can anyone stop such a tide? Sir Fazle: Having witnessed such change since Bangladesh’s independence in 1971, I am an optimist. Life expectancy was just 47 years in 1971, due largely to the high rate of child mortality. About a quarter of children did not live to the age of 5. Now life expectancy exceeds 70, and the under-5 mortality rate is less than 40 per 1,000 per live births. Maternal mortality has decreased by 75 percent since 1980; infant mortality has more than halved since 1990. We have also brought down fertility rates from about seven children per woman to replacement level. It has been said that such rapid changes in public health have almost no historical precedent, save perhaps for Japan following the Meiji Restoration. I believe these changes have taken place in large part because we have developed a more inclusive society—one in which women are empowered to make their own decisions, such as to educate their daughters, instead of being oppressed by patriarchal traditions. Although Bangladesh is still a very conservative society, we have not only met but exceeded gender parity in education, meaning there are now more girls in school than boys. This is a tremendous achievement. Yes, there are forces that can stop the tide, including the instability of our institutions and threats to law and order. These are challenges faced the world over. We have faced them in the past and come through them, so I remain an optimist. JCN: As regards its international expansion, where do you see BRAC’s next battles? Sir Fazle: We are developing a strategy to broaden our international outreach, particularly in Sub-Saharan Africa, where the basic conditions of many people’s lives remain much the same as when we started in Bangladesh. I would like to see BRAC launch operations in several more countries there in the coming years. JCN: If there were a ‘Davos of the non-profit sector’ sometime soon, would you like to participate and what would your keynote speech be about? 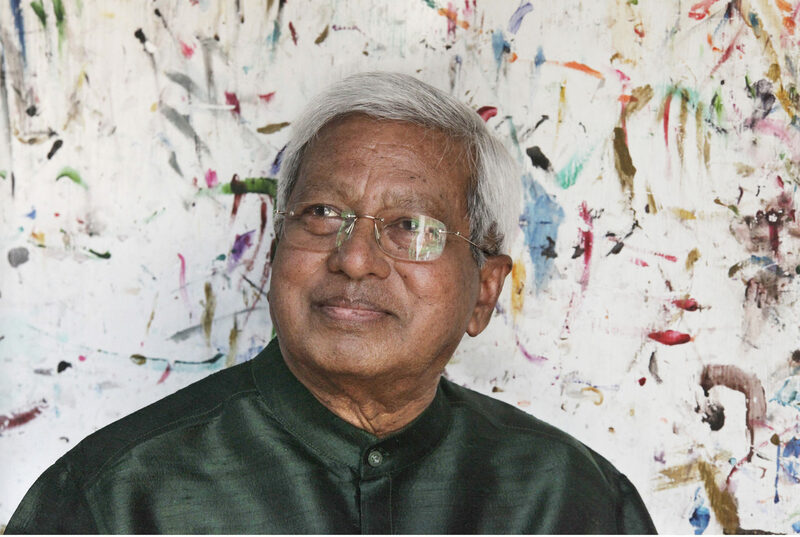 Sir Fazle: A Davos-style event for civil society could be something worthwhile and, if I were to attend, I would look forward to sharing some of the lessons learned during 45 years at BRAC. I would likely emphasise the need for non-profits to focus more on effectiveness, efficiency, and operating programs at scale. Businesses are excellent at this; they tend to deliver goods and services with extreme efficiency. Not so with social service organisations. You can find a Coke bottle in every corner of the world, but not always a vaccine. Good management is a skill that can be learned and, in development, it is more essential than ever. If there were a Davos for the development sector, perhaps it could help us learn from one another on the best ways to manage large programs, to deliver services effectively—to improve the science of delivery and rid the world of the disease of bad management—so that ultimately we might eradicate extreme poverty itself.